Whether you require 24-hour emergency service, capital improvement work, or cutting edge energy efficiency solutions, the Wilson Electric team is ready to serve you. Our team of project specialists and technicians can assist you with emergency service needs, preventive maintenance, indoor/outdoor lighting services, facility maintenance, additions and remodeling, new equipment installations and upgrades. Competitive rates, timely response and quality workmanship make us the #1 Electrical Contractor in the Southwest. Every core service client with Wilson Electric is assigned a professional account manager to ensure you are partnered with a technical expert. Your account manager’s principal job is to know the details of your specific facility and earn your respect as a trusted advisor. 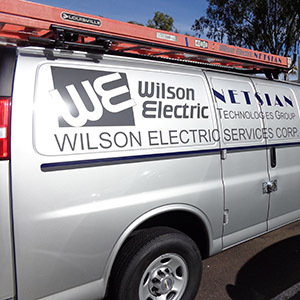 Wilson Electric Service group has a State of Arizona JOC Contract spanning the entire state. We are also a Utility Trade Ally with SRP, APS, TEP and Unisource. All technicians are NFPA 70E and Arc Flash trained.